For six years of his presidency, Barack Obama was committed to extricating America from its wars in Iraq and Afghanistan. He was opposed to the Iraq war from the beginning and campaigned against in 2008. Even when he agreed five years ago to a “surge” of sending thirty thousand extra troops to Afghanistan, it was clear from the outset that he did it with misgivings since he put a timeline on the American presence there. Philosophically and temperamentally, Obama was opposed to committing America to any foreign military engagement that might lead to putting troops on the ground unless there was an immediate threat to American security or a humanitarian mission to prevent genocide. 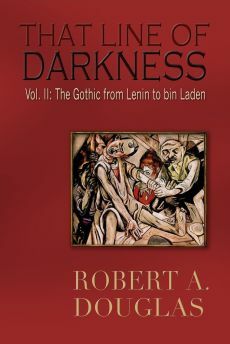 His cautious—not to be confused with weakness—foreign policy was primarily limited to the use of ordering drones to kill suspected terrorists and SEAL operations that led to the killing of Osama bin Laden. But sometimes the unanticipated arises. When former British Prime Minister, Harold Macmillan, was once asked what the most difficult thing about his job, his now famous reply was "Events, dear boy, events." 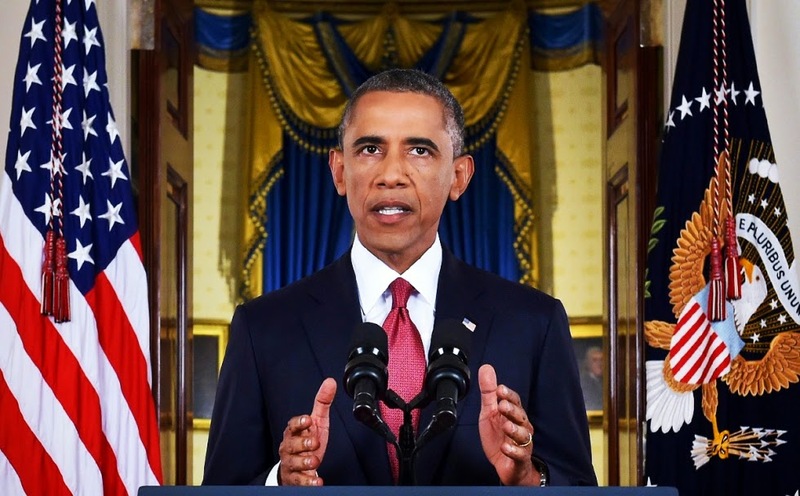 Tumultuous events that have been occurring in the Middle East have made Obama’s Presidency fraught with anxiety. How he responds to them could become the defining issue of his presidency, and not what he had hoped would be his legacy. 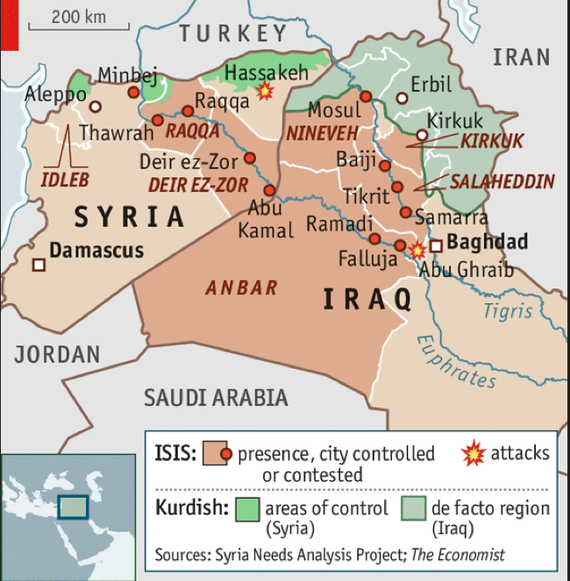 ISIS, now called the Islamic State (IS), has cut through a wide swath of Iraq and Syria. Abu-Bakr el-Baghdadi followers have redrawn the territorial map of the region for the first time since the foreign ministers of England and France secretly rearranged the old Ottoman Empire almost hundred years ago. By absorbing a third of Syria and a quarter of Iraq, including Mosul, Iraq’s second largest city, IS has created not only a fanatical Sunni regime, but also a caliphate, which was the original Muslim kingdom that existed under the successors of the Prophet Mohammed; at one point, it extended from modern-day Spain to Central Asia. 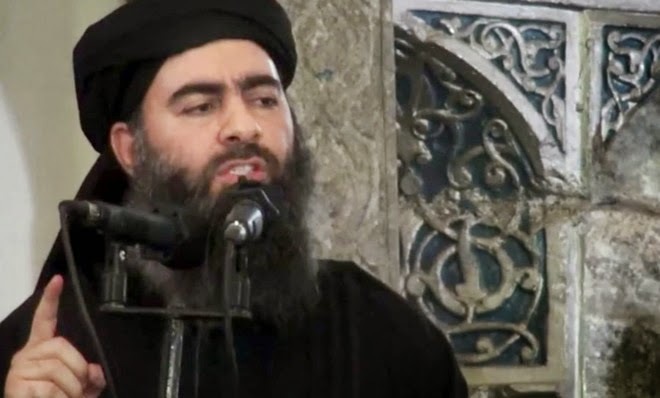 Baghdadi has donned the mantle of Caliph (successor) and has declared himself the chief imam and political and military leader of all Muslims. 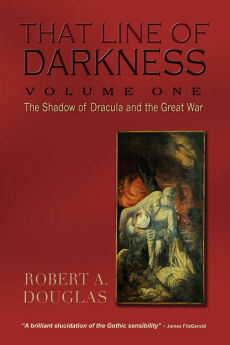 His battle-hardened, financially wealthy organization—largely derived from theft, extortion, and the sale of oil, antiquities and slaves—has demonstrated and visually recorded for the world a capacity for brutality—the so-called “propaganda of the deed”—that has appalled the international community and won them new recruits. According to the CIA, the size of the militant group has at least doubled over the summer from roughly 10,000 to between 20,000 and 31,500 fighters, likely motivated by the glamour and successes that IS have achieved. IS also for the time being has the support of former Baathists and Sunni clans in Iraq that were strongly opposed to Nouri al-Maliki's government in Baghdad that excluded them from military and intelligence positions, and viciously persecuted Sunnis. In their effort to establish a theocratic Sunni caliphate, IS brooks no religious deviance. When it assaulted Sinjar, a community of Yazidis (a mostly Kurdish-speaking people who practice a faith that includes elements of Zoroastrianism and theism in which its practitioners worship the sun), they massacred men or forced them to convert to Islam, kidnapped women and sold them into slavery. The Islamic State fighters regard them as "devil worshipers." 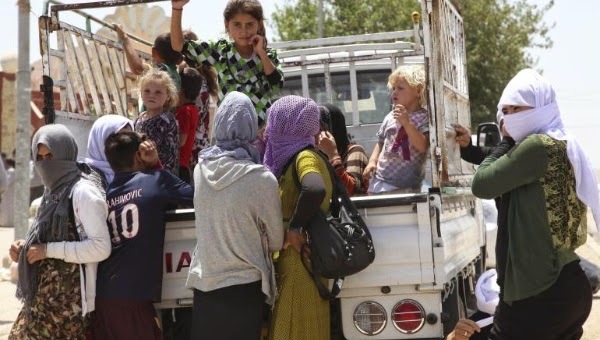 When survivors fled to Mount Sinjar and were surrounded by militants, Obama ordered airstrikes that enabled them to escape to Kurdistan with the assistance of the Kurdish Peshmerga (armed fighters). 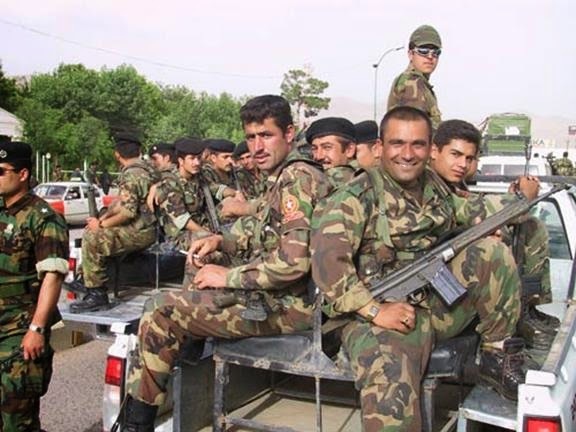 Moreover, American air power helped the Kurds repel an IS advance near Kirkuk and retake two strategic towns that had opened the road to a possible Islamic State assault on Irbil, the capital of Kurdistan. American air support has undoubtedly strengthened the Kurdish enclave, a positive development given that the Kurds are one of the few dependable allies in this turbulent region. Within the last few weeks, the dynamics have changed both in Iraq and in America. The Iraqi Parliament has approved a new power-sharing government led by Prime Minister Haider al-Abadi, a Shiite who at least talks about leading an inclusive government and working with the United States to eliminate a mortal threat from marauding Sunni militants. The gruesome beheading of two American journalists—staged to spread fear and designed for maximum emotional effect—has outraged the American public rendering it more hawkish than it has been for years. A CNN Poll revealed that this week fifty percent of previously war-wary Americans are now ready to go to war, and an incredible seventy-one of Americans believe that “ISIS is now active inside the US,” even though there is not a soupcon of evidence to substantiate the belief. One might conclude that the increasing hawkish mood among the public propelled Obama to re-engage in Iraq, but according to a thoughtful article in the New York Times by Peter Baker, the president said he had already been heading toward a military response before the men’s deaths. Obama added that ISIS had made a major strategic error by killing them because the anger it generated resulted in the American public’s quickly backing military action. On prime-time television September 10, Obama announced that America will launch airstrikes in Syria, that he will be sending an additional 475 U.S. troops to Iraq “to support Iraqi and Kurdish forces with training, intelligence and equipment.” The bombing campaign is aimed at supporting those—including the Iraqi army, the Kurdish Peshmerga and perhaps in the future, the Syrian opposition forces—who are bearing the burden of the fighting. But he was again at pains to insist that they would “not get dragged into another ground war in Iraq.” Instead, his goal is to secure a tough-minded multilateralism. Obama’s emphasis on building “a broad coalition of partners” and Secretary of State, John Kerry’s aggressive courting of allies in both the Middle East and Europe recalls the intense rounds of diplomacy that James A. Baker III led on behalf of the first President Bush before the successful war to drive Saddam Hussein’s army from Kuwait in 1991. Obama took this decision to lead a coalition to degrade the Islamic State in Iraq and Syria with deep ambivalence, understandably given the huge risks involved. Unfortunately, he also stated that his goal was to “ultimately destroy” these jihadists, but as he well knows, the most he can accomplish without boots on the ground is to degrade IS as he has done with Al-Qaeda. The most problematic shift in his strategy is his counter-insurgency plan for Syria that would involve air strikes against high profile targets and likely covert cooperation with the loathsome Assad government. Obama may also be relying on evidence that, according to journalist and novelist of espionage novels, David Ignatius, the CIA has covertly trained more than 4,000 Free Syrian Army fighters, and could increase that number quickly. If Ignatius is right and Saudi Arabia follows through on its promise to host a training facility for thousands of Syrian rebel fighters who would subsequently be combating both the Islamic State and the Alawite-Shiite regime—and these are big ifs—perhaps he can avoid becoming the air force of Assad whom Obama accused in 2012 of perpetrating a "sustained onslaught" against his own people and should step down. Obama’s reliance on a coalition entails further risks. Apart from a few verbal expressions of outrage directed against IS and Canada’s decision to send an elite team of special forces to Iraq, NATO partners have generally been silent. They have signed on in principle to joining the coalition but are weighing their options. Relying on Middle Eastern countries for support is always problematic since Saudi Arabia—that incidentally beheads individuals for a variety of offences—and members the Gulf States have long financed terrorist organizations. According to a secret 2009 U.S. study and divulged by WikiLeaks, private “donors in Saudi Arabia constitute the most significant source of funding to Sunni terrorist groups worldwide.” The Saudi Foreign Minister has assured Kerry that this practice will be discontinued in the kingdom. Is that enough? Perhaps as Ahmad Samih Khalidi suggests in a New York Times op-ed, “the West must overcome its reluctance to offend the Saudis, and speak out much more forcefully against the insidious influence of Wahhabism and the ideological support it offers violent extremism.” In other words, Saudi Arabia cannot continue to feed the ideology that motivates ISIS when it makes a commitment to assist in the war against these zealots. And what of Qatar and the United Arab Emirates where wealthy Sunni individuals, mosques and charities in these countries have provided huge sources of funds and fighters for ISIS? It is also unclear whether any of the leading Arab states would join in U.S. airstrikes against militants in Iraq and Syria. Moreover, Iran has at this time refused to be part of this coalition even though IS presents a threat to its Shiite clients, among them, the Hezbollah based in Lebanon. And Iraq itself carries potential pitfalls. Shiite militias have carried out atrocities against Sunnis, killing and beheading them. Prime Minister Abadi has said all the right things about inclusion but two key cabinet positions—Defence and the Interior Ministry that is responsible for security—have not been filled. If two hardline Shiites are appointed, the uneasy alliance between IS militants and former ex Baathists army officers could strengthen, a move that would seriously undercut Obama’s strategy. Finally, troubling questions abound. 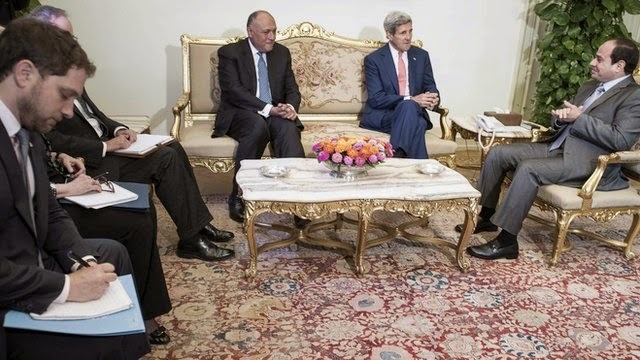 Are America and its allies being led into a trap constructed by the Islamic State? Were the beheading You-Tube videos—a third British aid worker has been executed—designed to entice America into war or merely punish it for its airstrikes? Would U.S. military intervention increase the propaganda value for the Islamic State, helping it to rally other jihadists to its cause? Obama’s restraint in the use of military power in recent years has helped keep the Islamic State’s focus regional, on its efforts to establish an Islamic caliphate in the Middle East. Would an accelerated American involvement shift IS strategy and encourage these extremists to launch attacks against the United States and the West? I am certain that Obama has considered these questions and fully recognizes that degrading IS will most of all depend upon the active support of his Middle Eastern allies and the persuasive powers of John Kerry. He must also count upon mainstream Sunnis and Shiites demonstrating that they hate ISIS more than they hate each other.